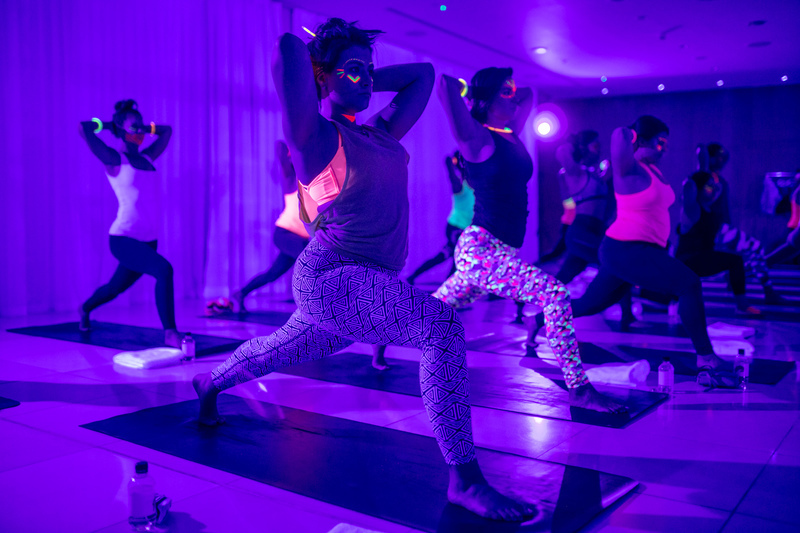 Don your brightest workout gear and pop on some neon face paint, St Martins Lane is playing host to The Wellscene's next Flow in the Dark Yoga class. At The Wellscene, they do yoga differently. They turn off the light, crank up the music and team up with London’s favourite yoga teachers to give you sweat dripping feel-good yoga. You can expect an uplifting, fun and grounding 60-minute yoga class that will get you twisting, sweating and moving, making sure you'll leave the mat feeling rejuvenated, blissful and inspired. Unlike most other yoga classes, this one will take place in the near dark. The space will solely be illuminated by black lights. To make things extra spectacular, we ask you to come in your brightest active wear. We give you glow sticks when you arrive and have a DIY neon face paint station set up so you can literally flow and glow in the dark. On 28 September join us for a Acro yoga Flow in the Dark class. Expect fun and playful pose variations! Sounds good? Grab your friends, get your ticket and we'll see you on the mat!